What do students do in tech orchestra program? Excitement is brewing about our orchestra program! I am thrilled and excited to work with our eager young musicians this year. Here are the answers to some frequently asked questions about the program. Students have on small group lesson for 30 minutes a week. Lessons are scheduled by instrument type and include 2-5 students. Two concerts per year: winter and spring. There are also other performance opportunities and musical experiences at school. What are the instruments of the string orchestra? 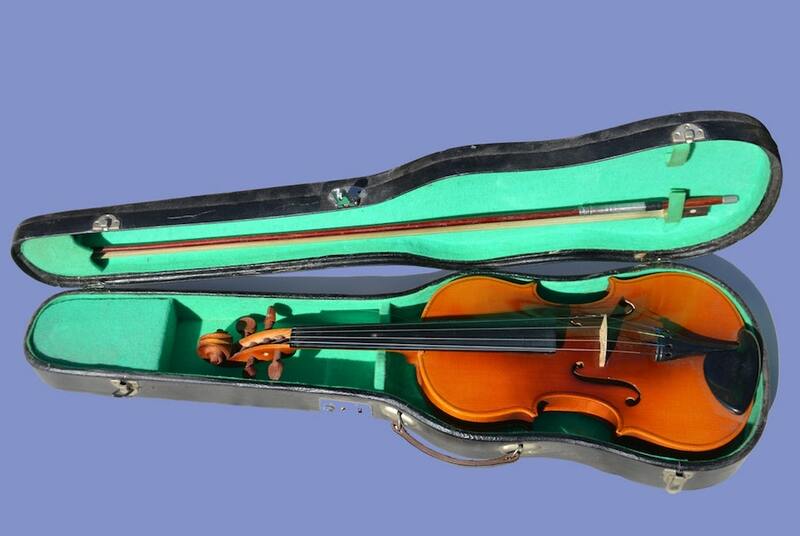 Viola: looks similar to violin, but has a lower more mellow tone. Cello: deeper sound than viola, played while seated between knees. Bass: deepest and largest instrument of hate string family, played while standing. How do I acquire an instrument? You are encourages to rent an instrument from an approved vendor. They provide high quality instruments and repairs and broken strings are included in the rental fees. Your child is still growing and may need to be fitted with a different instrument as time goes by. What else is required financially? Besides the cost of the monthly instrument rental, there is a $40.00 orchestra participation fee paid with regular school fees at the beginning of the year. Orchestra T-shirt is optional - cost is $10.00. (Please make checks payable to Lincoln School). These are ordered at the beginning of each school year. How much should my child practice? Practicing is essential for musical growth. As students first begin, they should be practicing 15-20 minutes, 5 days a week. Yes! Like participating on an athletic team, each individual member of the orchestra is essential. Orchestra rehearsals are where students get to apply musically what they learn in their small group lessons. Ultimately, these rehearsals prepare orchestra students for the public concerts they preform throughout the year. Are students required to perform at the concerts? Yes! The concerts are what it all leads up to. Performing is one of the greatest rewards of playing a musical instrument.